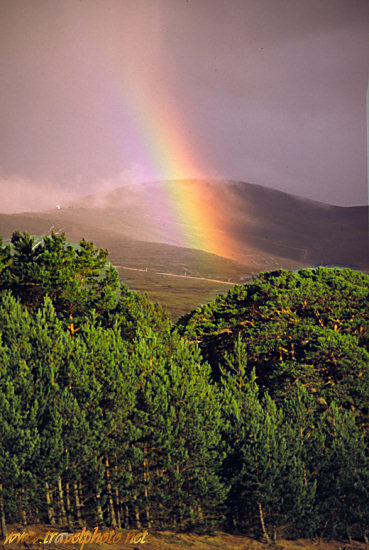 A rainbow appears over the forests near Loch Morlich in the Cairngorms (Cairngorm National Park, near Aviemore, Scotland UK). I slightly enhanced the colours using a circular polarizing filter. 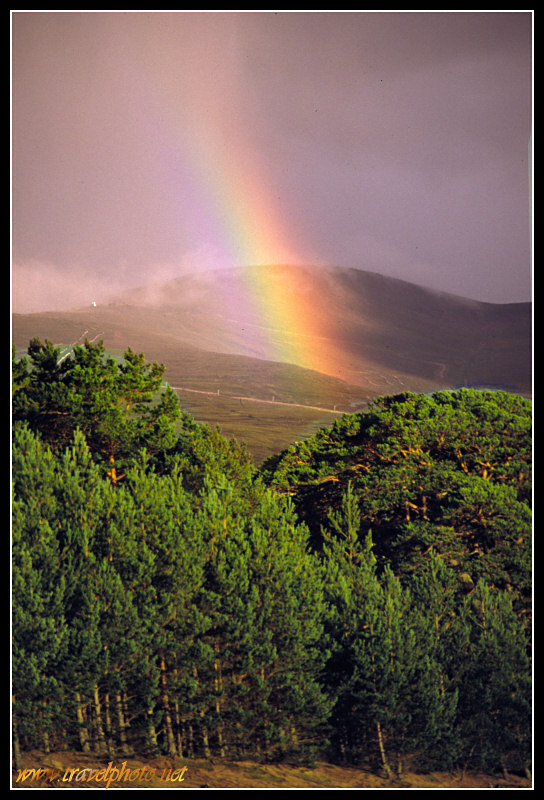 Depending on the position of such a filter, it will either enhance the colours - or even eliminate the rainbow effect!